You’ve created a dashboard and, while you’re creating widgets and moving things around, you realize you should have added more data sources. Don’t worry, you don’t have to start all over again: you can add a data source to an already existing dashboard…and it’s easy! 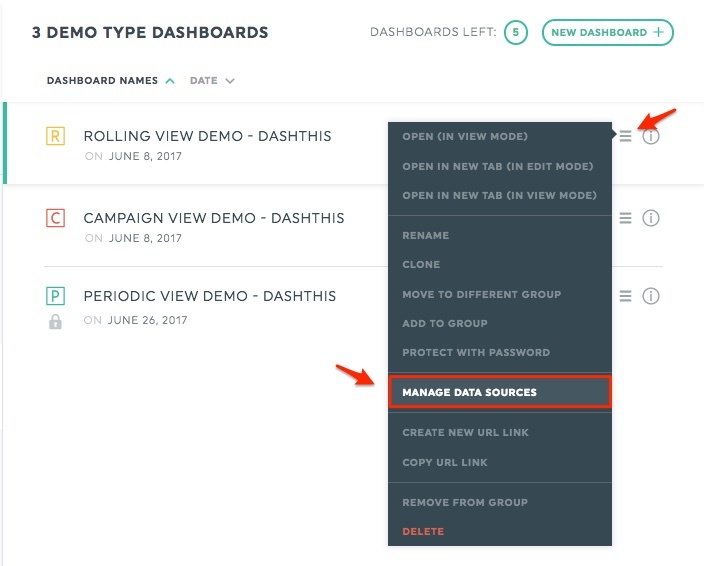 In the Dashboard manager, find the dashboard to which you want to add a new data source. Open its pop-up menu and select Manage data sources. 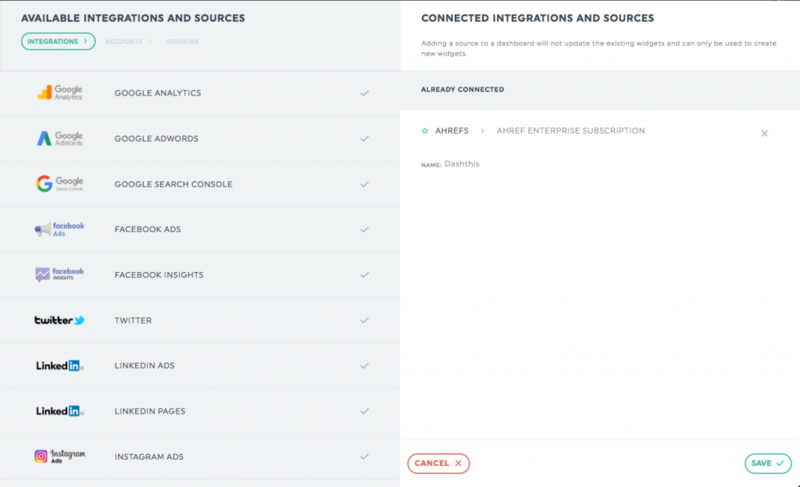 You land on a page with the integrations connected to your account on the left, and the integrations already in use in your dashboard on the right. Choose the integrations and data sources you want to add to your dashboard and click Save.